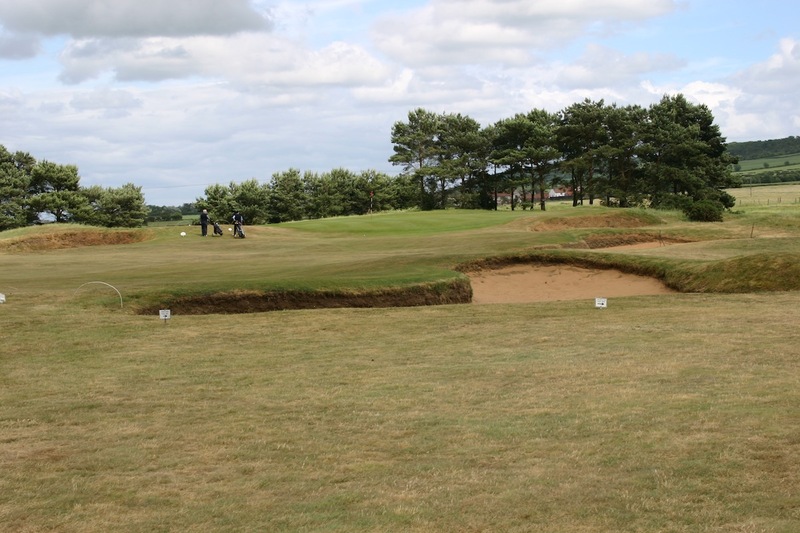 Located between York and Scarborough and more than ten miles from the North Yorkshire coastline, Ganton is one of the most demanding courses in Britain and probably the most authentic inland links in the world. Thousands of years ago its site was actually an inlet of the North Sea which receded to leave behind a pure linkscape complete with a sandy soil base and blessed with the sort of humps and ripples usually reserved for ground much closer to the sea. Golf was first played here in 1891 on a course laid out through the whins and native grasses by Tom Chisolm and Robert Bird, but in the years subsequent to this has had a seemingly endless list of architectural influences. The foursome of leading professionals Harry Vardon, Ted Ray, James Braid and J.H. 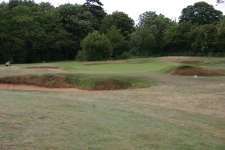 Taylor re-designed the layout in 1905 while Harry Colt, Dr Alister MacKenzie, Tom Simpson, C.K. Cotton and Frank Pennink are among the others who have also had a hand in shaping its holes. Like the classic seaside links, the course continually changes direction to take advantage of the winds that whip through the site, with holes mostly running back and forth across the landscape yet cleverly only once are they consecutively in the same direction. Small trees line the boundary of the property but within the design the terrain is mostly stark, with holes often carved through chunks of gorse introduced to the area, probably by Colt, in the 1930’s. 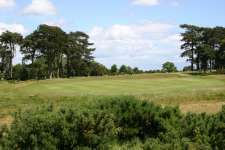 Ganton is a great matchplay course as several of the longer holes sit on the edge of par and most provide a balanced test of your strategy and shotmaking ability. Driving is your greatest challenge as danger lurks constantly and sprayed balls typically find the savage roughs or deep and fearsome bunkers, neither of which is a place to seek refuge for those hoping to scramble a respectable score. As there are only two short holes on the course there is little let up for those struggling with their driving accuracy. 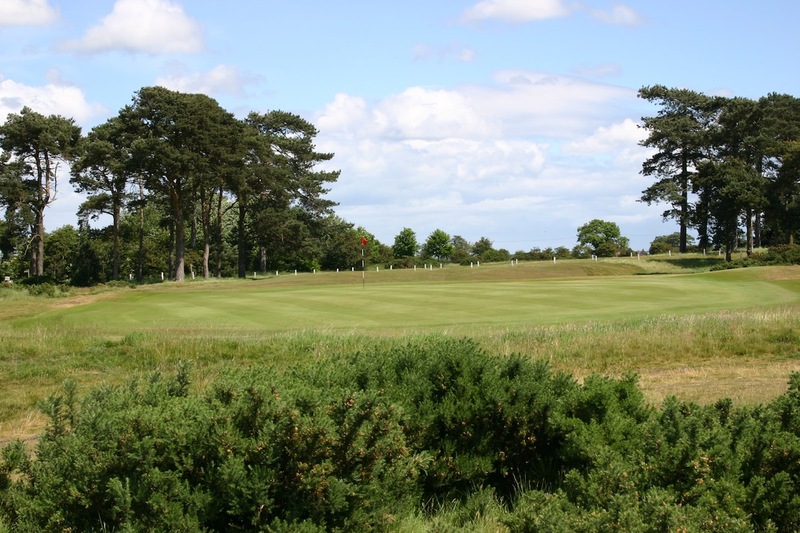 Unlike the better courses around the southern Heathland, Ganton isn’t bursting with stupendous moments but is instead blessed with a routing full of strong golf holes that will keep you on your toes throughout the journey. 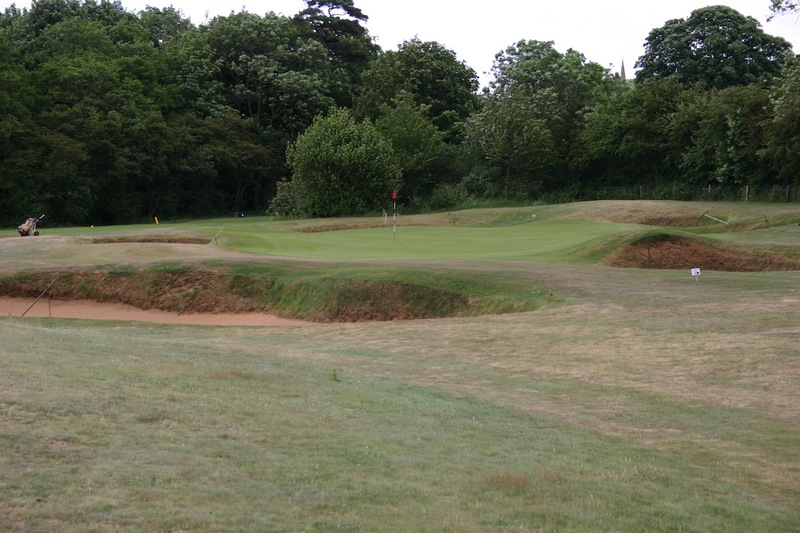 Early highlights include the short par four 3rd and Colt’s impressive 4th, its fairway dipping across a shallow valley and then into a back-to-front sloping green. The bumpy par five 9th, with a slim target and clever false front, is another high point while the 5th and well-bunkered 10th are both fine short holes. The finishing stretch from the 15th is extremely solid with the 16th demanding a bold carry across one of the biggest bunkers in the world and the 18th, an excellent Cape style par four around gorse, offering players the chance to end on a high or slide further into the mire. 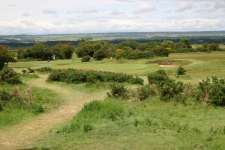 Critics of Ganton are likely to point to the ferocity of its challenge and the harshness of its landscape as the major drawbacks, but although the course is unlikely to ever win a beauty contest, it is surprisingly attractive to play and does provide all golfers with a thorough examination of their skills.